There are several locations in the Ennis area where you might capture some animals in your photos. Here are some of the more consistent locations with animals. As requested, I have added some notes about the gear I carry and what might be good to have on hand. 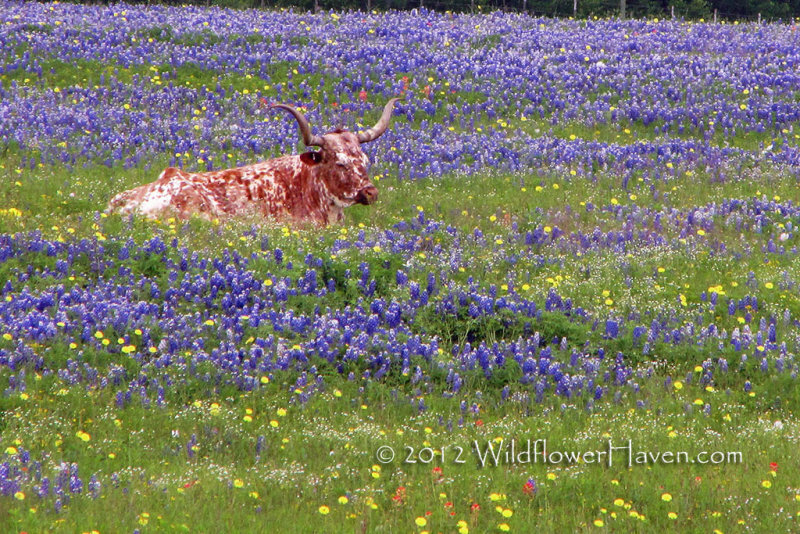 Longhorns: Everyone loves to find those longhorns in the bluebonnets. Along Union RD west of the intersection with Andrews RD there usually are a few longhorns in a pasture. The pasture is not always consistently covered with bluebonnets nor are the longhorns close the fence. In 2012, I passed by this spot and the longhorns were way back in the pasture which was too far for my Canon 7D with the max 135mm lens I had on it. However, I had purchased a small all in one zoom (Canon SX20IS) that had a longer reach. So I used the SX20IS for the attached image.